Los Angeles, CA (December 8, 2017) – AXS TV, the premier destination for classic rock programming, has announced the premiere dates for its 2018 mid-season schedule, which includes the return of the network’s most popular original series “Rock & Roll Road Trip With Sammy Hagar Presented by Mercury Insurance” and “The Big Interview With Dan Rather,” as well as the premieres of the new reality series “Real Money,” starring rock superstar Eddie Money and his family, and the music-themed countdown show “The Top Ten Revealed,” hosted by Katie Daryl. AXS TV celebrates the greatest and most influential songs, bands, and musicians in the history of rock n’ roll in the dynamic new countdown series “The Top Ten Revealed,” premiering Sunday, February 11 at 9:30pE/6:30pP. The series is hosted and executive produced by Katie Daryl (formerly host/executive producer of AXS TV’s “World’s Greatest Tribute Bands”), who will be on hand to guide viewers on a witty, edgy, and insightful journey that takes a look at the figures and the music that have left an indelible mark on the rock n’ roll scene. Each episode will put the spotlight on a different theme, spanning a diverse range of topics covering the best guitar intros, Vietnam anthems, ‘80s rock ballads, and more, and featuring a rotating panel of all-star experts that includes Heavy Metal trailblazer Lita Ford; Rock And Roll Hall Of Famer Steven Adler; and former Pantera percussionist Vinnie Paul, just to name a few. Legendary newsman Dan Rather sits down with some of the most celebrated figures from all across the entertainment spectrum as “The Big Interview” opens its sixth season on February 27 at 9pE/6pP. The upcoming season features 20 all-new episodes, divided into winter and fall cycles, premiering with Led Zeppelin front man and celebrated solo artist Robert Plant. Other guests include Robby Krieger and John Densmore, the surviving members of psychedelic powerhouse The Doors; chart-topping Country songstress Shania Twain; and singer, songwriter and actor Billy Ray Cyrus. More guests will be announced at a later date. 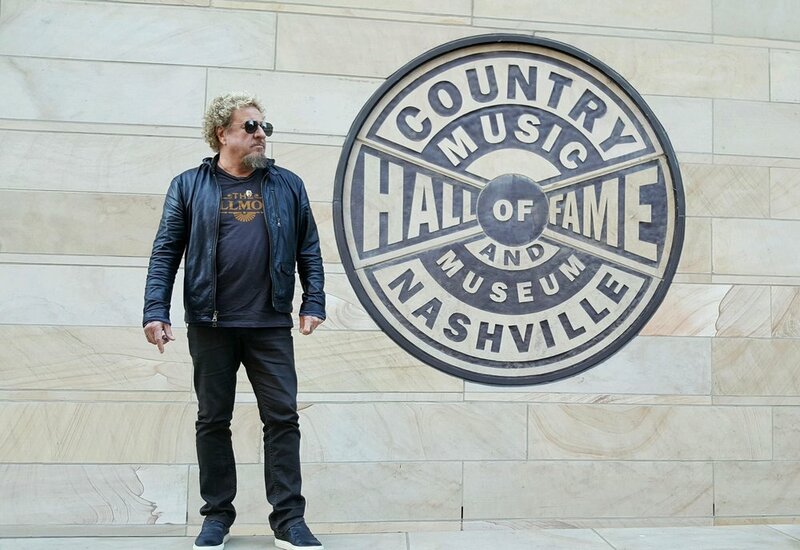 The Red Rocker, Sammy Hagar, cruises across the country for even more candid conversations and unforgettable jam sessions with some of music’s biggest names, as season three of Rock & Roll Road Trip With Sammy Hagar Presented by Mercury Insurance debuts on Sunday, April 8, at 9pE/6pP. Upcoming episodes feature an eclectic array of guest appearances including Foo Fighters front man Dave Grohl; The Who icon Roger Daltrey; Heavy Metal pioneer Rob Halford; classic rock hit makers Foreigner; Canadian alt-rockers Nickelback; and more. Then, multi-platinum rock superstar Eddie Money takes viewers home every Sunday night in AXS TV’s all-new original reality series “Real Money,” premiering April 8 at 9:30pE/6:30pP. The program captures the daily lives of the Money Clan—which includes Eddie; Laurie, his wife of over 30 years; their five kids, Zach, Joe, Jesse, Dez, and Julian; and eight pets—as they live, laugh, bicker, and rock. Hilarity and hijinks ensue this season as Eddie and Laurie struggle to keep everyone in line and on time; Jesse gets in some trouble while mom and dad are in Cabo; Eddie’s forced to take his health seriously; Dez gets career advice from a GRAMMY®-winning engineer; Eddie gets a therapy session on the golf course; and the family continues to rock the stage. Launched in July 2012 by visionary entrepreneur CEO Mark Cuban, AXS TV delivers the ultimate in music entertainment programming with an eclectic lineup that includes classic concerts from music's most iconic bands, as well as exclusive music festival coverage, original hit series, docs that rock, insightful specials, and knock-out live mixed martial arts action. AXS TV is a partnership between Cuban, AEG, Ryan Seacrest Media, Creative Artists Agency (CAA) and CBS. The network is available nationally in the United States and can be seen in parts of Canada, Mexico and the Caribbean. For a list of providers, visitaxs.tv/subscribe. For more information, see www.axs.tv and www.axs.tv/press.